General Patton’s Tank has been restored to its original form. General Patton is widely regarded as a respected war hero. Being able to pay respects and serve this great hero of mine was truly an honor. Both of my Great Uncles as well as my grandfathers served their country in the military and were my inspiration in this endeavor. The Tank was used in Patton’s Third Army and was received from the Unite States Army in 1950. It is a piece of living history that kids have played on in the park for decades as direct living history and experiential learning. The tank stands to help us remember those men and women that have sacrificed everything for this country. It stands here reminding us that it takes great sacrifice to keep things we love, our liberties and our rights. The symbolism of this Tank will continue on in shining form with a new paint restoration. Many people have come forward to accomplish this worthy goal. 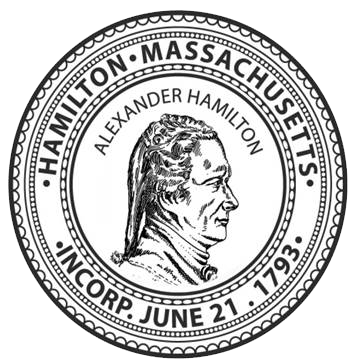 I would like to honor and thank these individuals most especially to my Boy Scout Troop 35 in Hamilton, the Town of Hamilton, The DPW, the VFW, the Hamilton Police Department as well as the Hamilton Fire Department, the many donors that contributed and finally the Hamilton Parks and Recreation Department. 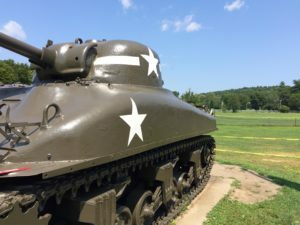 There will be a Re-Dedication of General Patton’s Tank back to the Town of Hamilton and its citizens on Sunday, November 11 at NOON, a day that All citizens in all capacities are whole heartedly encouraged to attend.